Hello! And welcome to the 487th Digital Photography Review newsletter. The year is quickly running out (note to self: do some Christmas shopping...) but we're still putting plenty of content out, and there's more on the way. 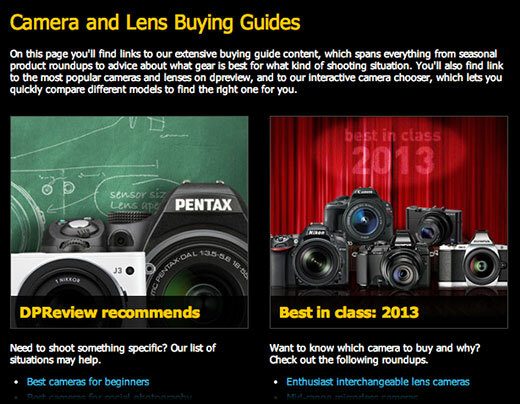 This week we've published a main 'hub' page for all of our buying guide, roundup and recommendations articles, and we've been taking advantage of some sunny (but extremely cold) weather over the past few days to gather a large samples gallery using the Nikon Df, which we published yesterday. 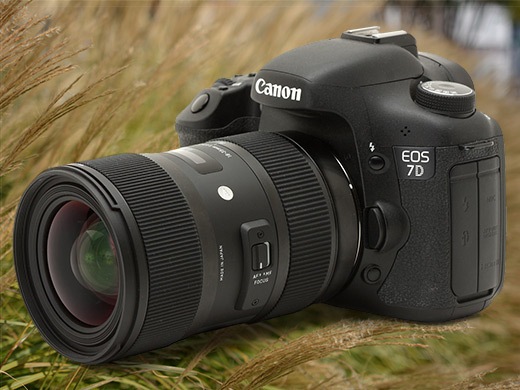 Buying a new camera or lens can be fraught with difficulty. Finding the right gear is hard, and depends on a lot of different factors – what sort of photography you enjoy doing, what kind of size and weight you're comfortable with, and of course how much you're prepared to spend. On this page you'll find links to our extensive buying guide content, which span everything from seasonal product roundups to advice about what gear is best for what kind of shooting situation. You'll also find link sot the most popular cameras and lenses on dpreview, and to our interactive camera chooser, which lets you quickly compare different models to find the right one for you. A lot of equipment passes through our Seattle and London offices, everything from high-end cameras to inexpensive accessories. A lot of it gets reviewed, but we can't cover everything. In this series of short articles, DPReview staff will be highlighting their personal standout products of the year. In part 4, Richard Butler talks about his personal favorite - the Sigma 18-35mm F1.8 DC HSM. We've been shooting for a while with Fujifilm's latest X-system lens, the XF 23mm F1.4R, and have prepared a gallery of real-world samples. They cover variety of subjects and lighting conditions, and were all shot on the X-E2. We've also quickly summarised our impressions of the lens's handling and image quality. A few years ago, the idea of a DSLR under $1000 was just a distant dream, but these days the financial bar to entry is much lower than it was in the past. And DSLRs aren't the only game in town anymore either - mirrorless interchangeable lens cameras are maturing quickly, and there are plenty of affordable options on the market. Here's our list of the top five interchangeable lens cameras that we'd currently recommend for under $1000 - including a kit zoom lens. There's a long tradition of high-quality compact cameras going back more than a hundred years, and even now, in the days of digital, there are some incredibly capable compact cameras on the market. Shop carefully and you can get excellent image quality, full manual control and plenty of other bells and whistles, provided you don't mind paying a little more than you might for the average point and shoot. Top-notch lenses, great sensors and plenty of control are the hallmarks of every one of our top five recommended compact cameras for enthusiasts. We're still working hard on the new Nikon Df, we're almost done with our full review of the Panasonic Lumix DMC-GM1 and we're also aiming to get a decent chunk of content published about the Sony a7 and a7R before the end of the year. In addition, we'll have more 'gear of the year' and we're hoping to be able to publish the archived video from last week's 'dpreviewLIVE' broadcast day in the next day or so as well. Keep an eye on the site next week because we'll also be asking for your opinions on what you think are the standout products of 2013, so watch this space! Save big on select Sony DSLRs—specifically the DPReview Silver Award-winning A77 ($300 off), as well as the A58 (only $449.99, 18-55mm kit lens included). Also, these select Fujifilm cameras are up to $200 off. Meanwhile, some of the most aggressive deals available are on Nikon DSLRs; the D5200 is eligible for savings of up to $450, while the D610 is $300 off—not to mention there are instant rebates that will save you up to $300 more per additional lens you buy, with 20+ models to choose from (on these cameras’ product pages, just click the green “bundle deals” buttons to see all the options). New videos: Be sure to check out the first episodes of our original video series through which pros will demystify photographic techniques, terminology, and technology for both novice and advanced-amateur photographers! Looking for a lens to replace the kit zoom that came with your DSLR? In this video, pro photographer Ryan Phillips uses Nikon DSLRs and lenses to explore some things you should keep in mind as you weigh your alternatives. In a second video, Ryan demonstrates street photography and portrait techniques—including how to engage your subject—using Fujifilm gear. Finally, in this segment, a second pro—Ernie Sapiro—shoots with Sigma equipment in exploring the ins-and-outs of depth of field. When you’re done watching, feel free to head over to the GearShop forum on DPReview to let us know what you think so we can make future episodes even better! Canon has announced the EOS M2 in Japan. An updated version of its EOS M mirrorless camera, the new model promises faster autofocus due to the use of a Hybrid CMOS II sensor, as seen in the EOS 100D / SL1. It also has built-in Wi-Fi and a slightly revised body design. It will be sold either body-only or in kits with one, two, or all three EF-M lenses, and be available in either black or white. Sigma has posted a statement on its website regarding incompatibilities between its lenses and the Nikon Df. As with the D5300, both autofocus and image stabilisation may not work correctly; however lenses without built-in focus motors are also affected when used on the Df. The company says it will provide free lens firmware updates to fix the issue, but this may not be possible with discontinued models. Click through for full details. Looking for an easy way to share your photos with nearby smartphone and tablet users? There are plenty of options, and SanDisk has a couple of their own in a new line of flash memory storage devices with built-in wireless that you can access from any device. We evaluate the devices from a photographer's perspective on connect.dpreview.com. A new Kickstarter project from Moondog Labs hopes to bring a wider view when shooting with the iPhone 5 and 5s. With Moondog Labs' 1.33x Anamorphic Adapter lens, a video shot on the iPhone in the standard 16:9 aspect ratio gains about 33% more width. Still images shot in 4:3 are expanded to 16:9. Learn more at connect.dpreview.com. A lot of equipment passes through our Seattle and London offices, everything from high-end cameras to inexpensive accessories. A lot of it gets reviewed, but we can't cover everything. In this series of short articles, DPReview staff will be highlighting their personal standout products of the year. In part 4, Richard Butler discusses the Sigma 18-35mm F1.8 DC HSM and what it means for APS-C shooters. A new product is Kickstarting its way into entry-level product photography. The Foldio lightbox aims to help inexperienced photographers on a budget capture their items in the best light possible. Folding down flat enough to fit in a briefcase, the Foldio easily props up with the use of magnets. Learn more at connect.dpreview.com. Samyang has announced the 10mm F2.8 ED AS NCS SC, a wide-angle manual focus prime for APS-C format cameras. It's the company's first lens to feature nano crystal coating for increased light transmission and reduced internal reflections. With a 15mm equivalent angle of view (20mm equivalent on Micro Four Thirds), it'll be made in mounts for all current SLR and mirrorless systems. It'll go on sale at the end of January 2014 at an RRP of £469.99 for Nikon AE mount, or £429.99 for all other versions. Sakar International, which makes cameras under the Polaroid brand name, has agreed to stop selling the model at the center of a patent and trade dress dispute with Nikon. A New York court issued an injunction stopping Sakar from making, selling or advertising the Android-powered iM1836, based on an agreement reached by the two companies. Nikon claims the interchangeable lens iM1836 infringed design patents and 'trade dress' (appearance) of its 1 System. DxO has announced an update to its FilmPack 4 software, with version 4.5 adding two new 'film renderings' - Agfa Scala 200x and Kodak Ektar 100. FilmPack aims to simulate the look of classic film emulsions and can operate either as a standalone program or as a plugin for Adobe, Apple and DxO software. Click through for more details. DxO has announced updates to its recently-announced Optics Pro 9 software, bringing speed enhancements and additional camera support. Optics Pro 9 is the latest version of DxO's long-running Optics Pro Raw conversion and optical correction software. It brings greatly improved 'denoising' (noise reduction) technology for enhanced high ISO image quality. Click through for more details. The Motrr Galileo works in combination with the Sphere iOS app to automate the panorama capturing process with much more precision than handheld shooting allows. This speeds the entire process up considerably and should, at least in theory, lead to better image results. We put it to the test on connect.dpreview.com. DPReview is hiring! Senior UX Designer wanted! DPReview is hiring! We're looking for a Senior UX designer to shape the next generation of content and community tools for our large and passionate audience of photographers and camera enthusiasts. Candidates will have the rare ability to influence the product at all levels and to create a new user experience for a top 1000 website. Click through for more details. We've been shooting for a while with Fujifilm's latest X-system lens, the XF 23mm F1.4R, and have prepared a gallery of real-world samples. They cover variety of subjects and lighting conditions, and were all shot on the X-E2. We've also quickly summarised our impressions of the lens's handling and image quality. Click through to find out more.